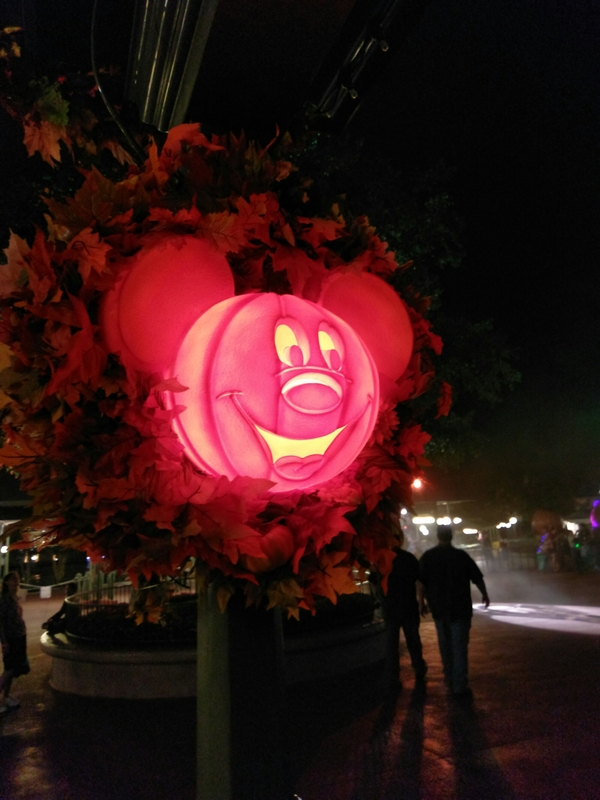 Mickey’s Not-So-Scary Halloween Party at Disney World, Florida! All dressed up as the characters from Alice in Wonderland we set off to Disney’s Magic Kingdom for the evening, with our missions being to have a picture with Alice and the Mad Hatter and go trick or treating. 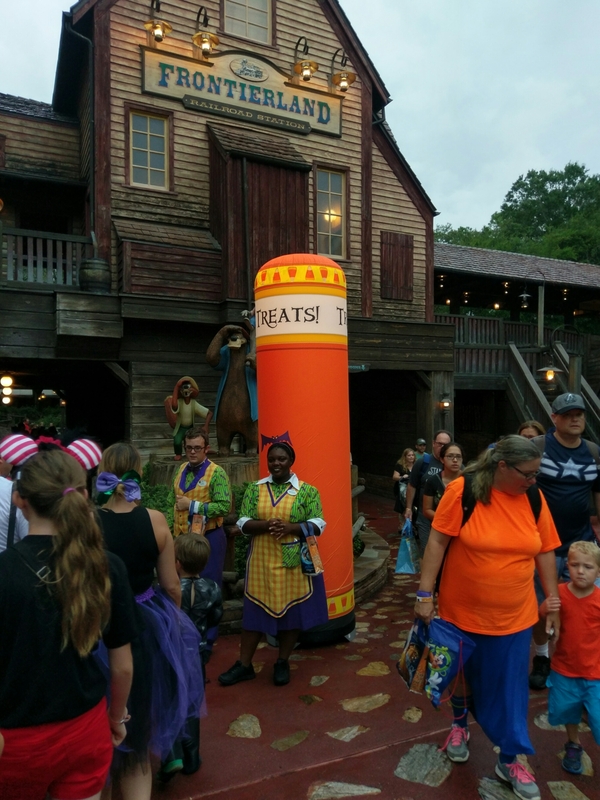 It was very exciting arriving at the park for Mickeys not so scary Halloween Party. 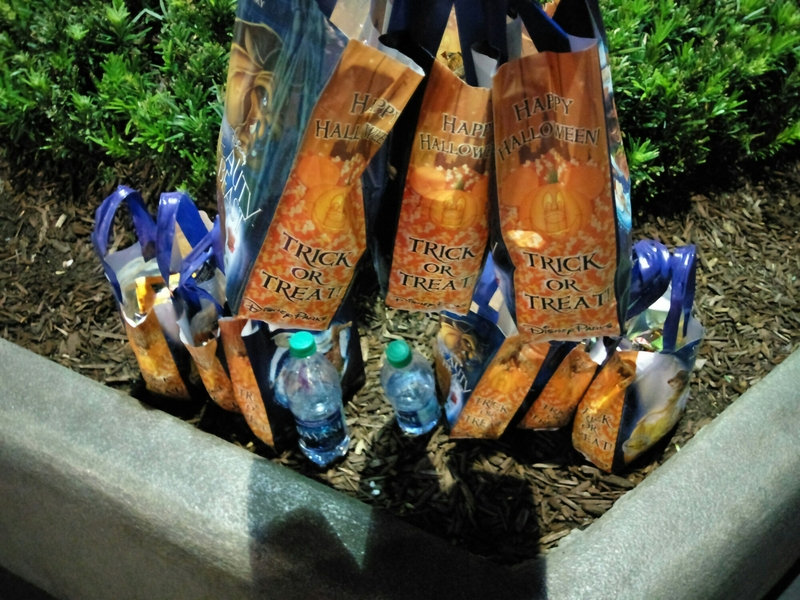 The Halloween decorations were up and, on showing our tickets, we were each given a trick or treat bag. We were shown through a normally closed entrance to the park, where we had our picture taken and were given bags of treats to start us off. We had pre-booked fast passes for the haunted mansion, having saved this ride for the Halloween party, so this was our first stop. It was fun with Characters entertaining the queues. We also decided to ride Pirates of the Caribbean. The children excitedly looked out for the many lit up orange treat stations where you could trick or treat and get given handfuls of treats from large barrels. I was also impressed to find out that there were allergy free treats available so everyone could be included. In Tomorrow Land we danced with the characters from Monsters Inc. and met Buzz Lightyear, who had a fairly short queue as the fireworks were about to start. 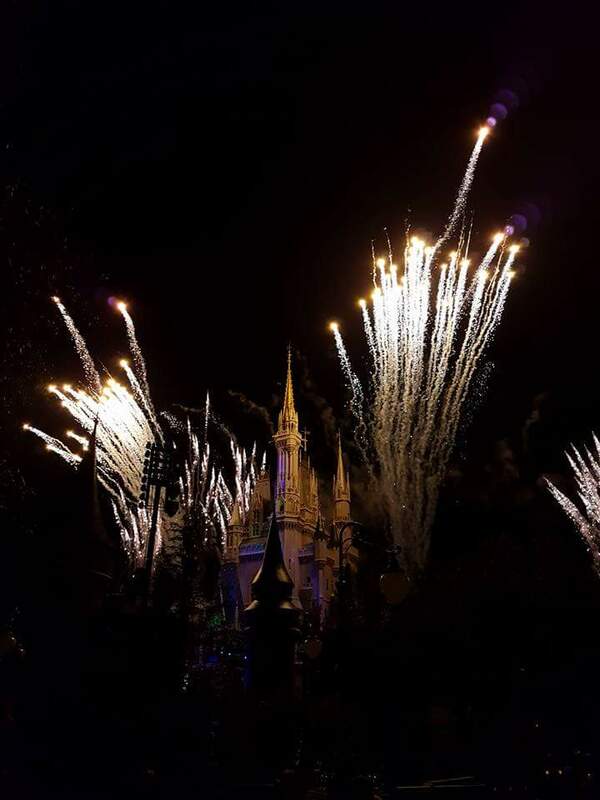 The highlight for us was the Themed Fireworks Show, Hallowishes. It was even better than the normal Wishes firework display and definitely worth watching! We unfortunately missed the Hocus Pocus Villain Spelltacular, a wickedly fun celebration hosted by the Sanderson Sisters from Disney’s Hocus Pocus with chills, thrills and villains. Instead, we queued for about an hour to have our picture taken with Alice and The Mad Hatter, who had a twenty-minute tea break when we were second from the front of the queue! There were other character meet and greets available with the seven dwarfs and Jack Shellington and Sally from The Nightmare before Christmas being some of them, but the queues were an hour and a half long so we left them out. We watched the Boo-to-You Halloween Parade led by the headless horseman and with Halloween costumed Characters, including stars from the Haunted Mansion. This was well worth a watch. 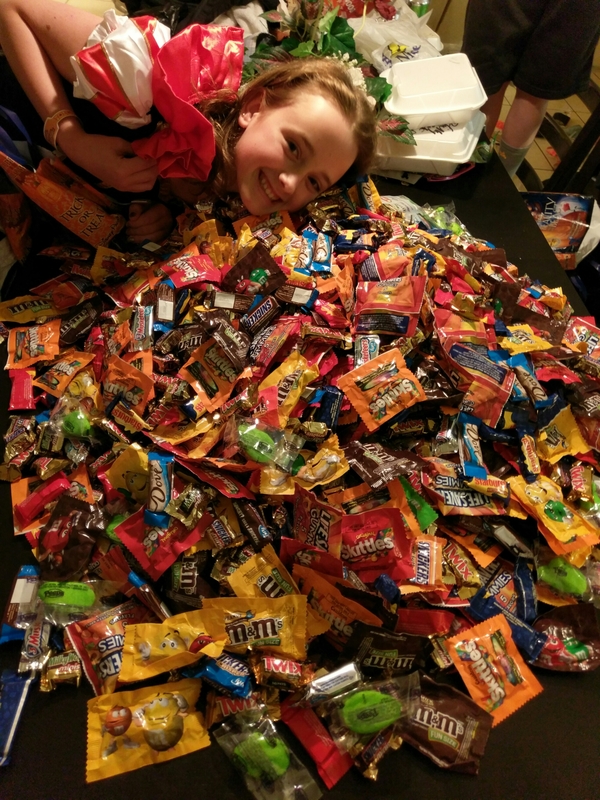 We finished off with a few last goes of trick or treating and headed back to the villa to realise just how many sweets we needed to try and fit in our hand luggage the next morning! 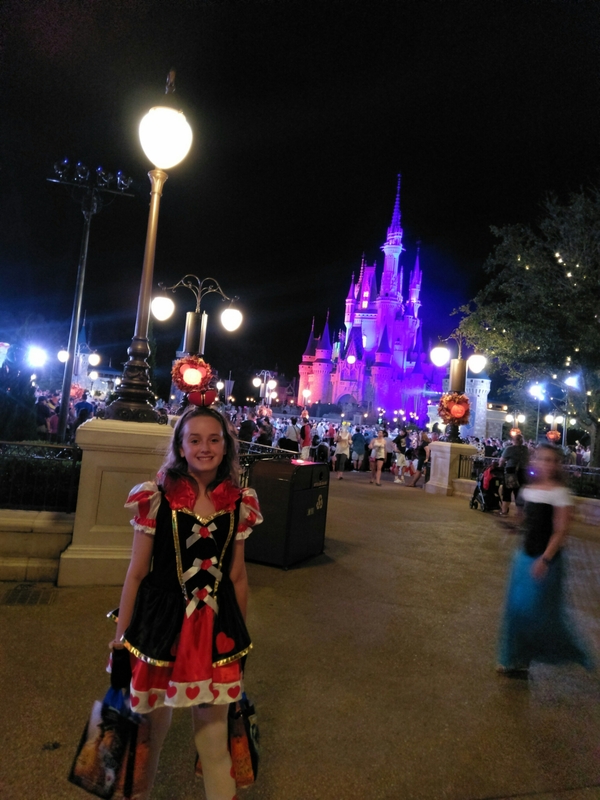 Mickey’s Not So Scary Halloween Party with a child with Autism? I would say yes, try it! I would avoid queueing to meet any characters as you cannot use the disability pass for this and the queues can be extremely lengthy! The fireworks are obviously loud. The queues for treats are short and continually moving and the ride queues were not too bad, except the haunted mansion. For this ride we used fast pass plus and booked for the very last time of the park opening hours then did it first. The crowds for the parade and the show are large around the castle and it may be worth heading to the beginning of the parade in Frontier Land to find a quieter place to watch. 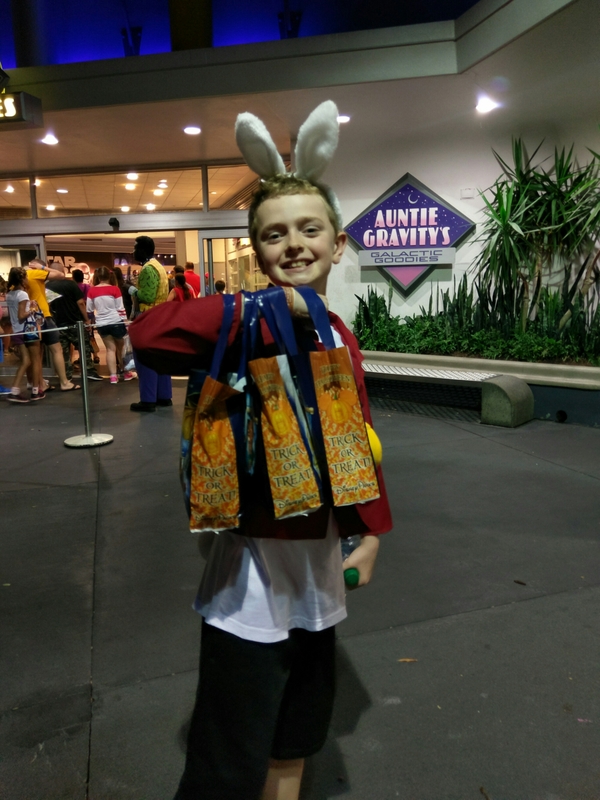 If your child needs a break it is worth remembering that in the Disney Parks, first aid rooms can also be used as calm rooms for children with ASD. 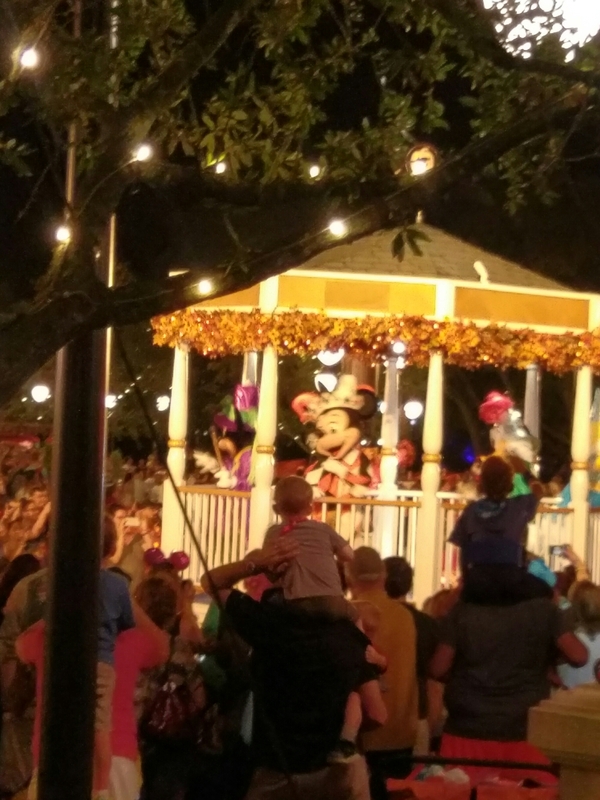 It is worth watching the first parade and show so you can leave before the end of the night when transportation is less crowded. Looks fantastic! 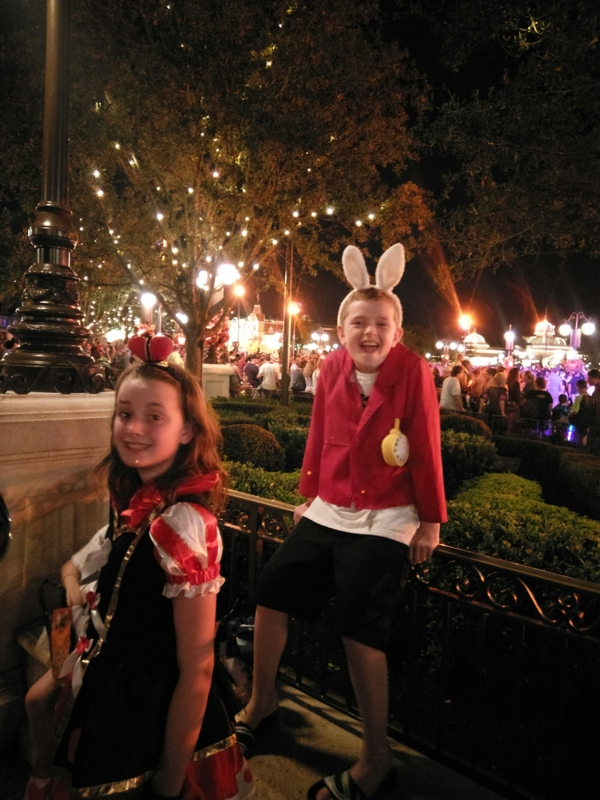 Love your costumes and your tips for taking a child with autism are a brilliant addition. I absolutely loved the different firework displays at Disney, they are superb!